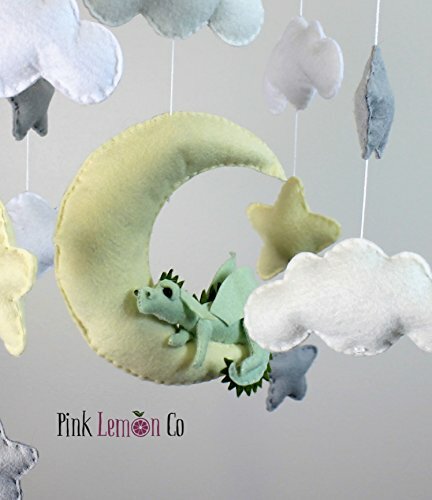 My current processing time is 3 weeks baby mobile baby mobiles nursery decor nursery mobiles nursery mobile felt baby mobile handmade baby mobile MOBILES: All of my mobiles are handmade using merino blend wool felt. They are all made to order and can be made in the colours of your choice. The wooden hanger that the plush accents hang from is also handmade. Hanger measures approximately 12 x 12 inches. Mobile lengths are between 12-16 inches Mobiles include everything pictured and are ready to hang. Hook for hanging is not included and is a personal choice. Crib attachment and music box are not included. The link below is an arm Ive used in the past and is suitable for my mobiles. https://www.amazon.com/VicTsing-Mobile-Music-Holder-Bracket/dp/B00JVOD6IO/ref=sr_1_4_a_it?ie=UTF8&qid=1519104622&sr=8-4&keywords=crib+mobile+arm If you intend to hang your mobile from a crib attachment please indicate so during purchase. I will adjust the length and the hook on top Of the hanger so it will fit right out of the box CUSTOM COLOURS: Ive attached a swatch charge for colour choices in the last photo. If there is a colour you would like but do not see please send me a message. I have many suppliers and can find a close match for you. During checkout there is an option to leave a note. you may put custom colour choices here. If no note is left the mobile will be made as pictured. If you would like me create something special for you please send me a message to make a custom listing for you. SHIPPING TIMES: My processing time changes depending on how many orders I have to fill. It will range from 1-2 weeks. If you have a specific date you need to receive your order by please contact me prior to purchase. I will do my best to accommodate you. If you have any questions about this product by Pinklemonco, contact us by completing and submitting the form below. If you are looking for a specif part number, please include it with your message.